Presented by Jenni Murray. 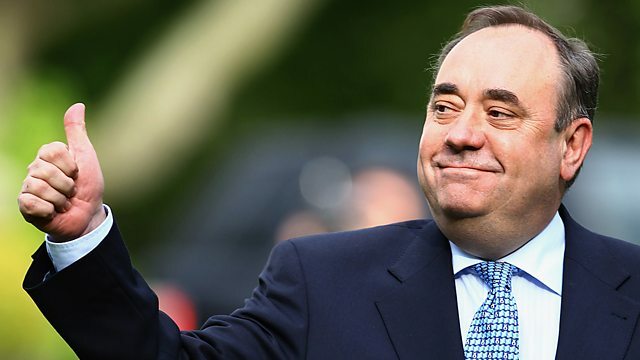 Scotland's First Minister Alex Salmond talks about booze and bigotry. Jazz singer Nailah Porter performs live in studio. Also, Men and hair loss. Presented by Jenni Murray. Scotland's First Minister - Alex Salmond - talks about booze and bigotry. Jazz singer Nailah Porter performs live in studio. Men and hair loss. Women in Business: how does flexible working affect small companies? Natalia Koliada - the founder of the Belarus Free Theatre. Presented by Jenni Murray. Scotland's First Minister - Alex Salmond - talks about booze and bigotry. Jazz singer Nailah Porter performs live in studio. Men and hair loss. Women in Business: how does flexible working affect small companies? Natalia Koliada - the founder of the Belarus Free. Scotland's First Minister talks to Jenni about booze and bigotry. The founder of the Belarus Free Theatre, on being exiled from Europe's last dictatorship. Trichologist Marilyn Sherlock and journalist Tim Lott discuss.